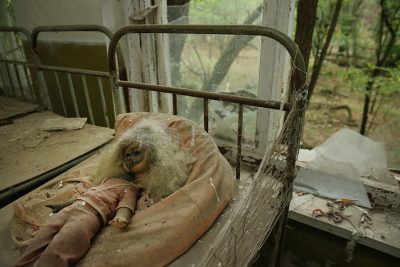 Nuclear Disasters: Are We Set Up to Relieve the Mind-Numbing Chernobyl and Fukushima Experience? There’s a visible pattern amid the European media voicing ever increasing concern over malfunctions and all sorts of emergencies occurring lately at nuclear power plants. A very real possibility of a second Fukushima Daiichi nuclear disaster occurring in Europe has recently been reported by Italian news service Gli Occhi Della Guerra. In particular, it reported that the authorities of Germany and the Netherlands made a decision to hand out to the population iodine tablets capable of reducing the effects of radiation poisoning in an the event of a grave nuclear emergency. This panic-provoking move was made by Berlin and Amsterdam reflecting their severe concern over the condition of two nuclear power plants: the Doel Nuclear Power Station and the Tihange Nuclear Power Station, which are technically located on the the territory of Belgium, but are really close the borders of the two above mentioned nations. The last time there was a major malfunction at the third reactor of Belgium’s most powerful nuclear power plant, Tihange, it was announced a couple of days ago by Le Soir. However, Doel is no less troublesome, as those two nuclear power stations were built back in the 70s and have been a major headache for nuclear scientists operating them ever since. It is no coincidence, therefore, that the decision to distribute anti-radiation pills in Aachen and The Hague came on the back of a number of scientific publications shedding light on the security conditions at the two of Belgium’s nuclear power stations. Basically speaking, both environmental groups and scientists tend to agree that they represent a time bomb ticking right in the heart of Europe. However, this is hardly the only source of concern for the EU, as analysts from the British magazine Energy Research & Social Science say that Europe is about to face a nuclear incident much more devastating than the Chernobyl disaster, as on top of the poor state of the two Belgian nuclear power stations, there’s an 80% probability of a nuclear disaster occurring at one of Ukraine’s nuclear power plants before 2020. In the event of such a nuclear disaster, the European Union will be dealing with both the unimaginable environmental damage, but due to the introduction of a visa-free regime between the EU and Ukraine, a mass exodus from the contaminated region of Ukrainians to Western Europe. Out of the 15 operational nuclear reactors in Ukraine, a total of 12 were introduced into service before 1990, with all of them sharing a maximum operational service life of 30 years. The fact that a total of 10 of these reactors have already exceeded their lifespans sends cold shivers down one’s spine. However, those reactors have been used to produce an ever increasing amount of electricity to meet Ukraine’s growing demand caused by a sharp decline in the number of operational thermal power plants that have no access to the coal produced in Donbass. This breakaway region has been on the defense ever since Kiev authorities launched military operations against its Russian-speaking population. Now those Soviet age reactors are being run into the ground so that they fulfill more than 60% of Ukraine’s total electricity needs, which leads to nuclear scientists operating them being forced to to the limits of these thoroughly worn-out nuclear facilities. However, Kiev’s authorities have gone so far in their Russophobic that they continue playing with fire, testing all sorts of substitutes to Russian fuel formulas produced in America since 2005. One can remember how a series of malfunctions at the South-Ukraine Nuclear Power Station back in 2013 resulted in a number of Ukrainian inspection organizations introducing a complete ban on the use of any form of American-produced nuclear fuel in Ukraine. However the American sponsored coup d’etat in Kiev reopened the door for the use of American fuel in Ukraine, which has already resulted in a number of failures and emergency reactor shutdowns at various Ukrainian nuclear power plants. However, nobody seems to be concerned in Kiev. Last May, the official website of Ukraine’s Energoatom reported that a total of four reactors of the Zaporizhzhya NPP in Ukraine will only be fueled by products of Westinghouse Electric Company, with only two remaining reactors still being operated on Russian fuel. In addition to the use of sub-quality fuel, there’s yet another reason for the mounting incidents and risk at Ukrainian power plants and that is chronic under-funding of this sector, since there’s been not a single Euro invested in the sector since the collapse of the USSR. As it’s been announced by Ukrainian PM Viktoriya Voytsitskaya, as the nuclear industry collapses in Ukraine, nuclear scientists are being laid off or quit work voluntarily to seek employment in other countries. Additionally, the total number of emergency situations at Ukrainian nuclear power plants in 2017 reached a total of 17 cases against 12 cases a year earlier. All these facts show that Ukraine’s remaining nuclear power plants represent a real threat to the security of Europe, but against the backdrop of the current economic situation and political instability in Ukraine, there is no chance to reverse this negative trend. The question of how to address this situation effectively must be a topic of urgent negotiations between Ukraine and the authorities of leading EU states.